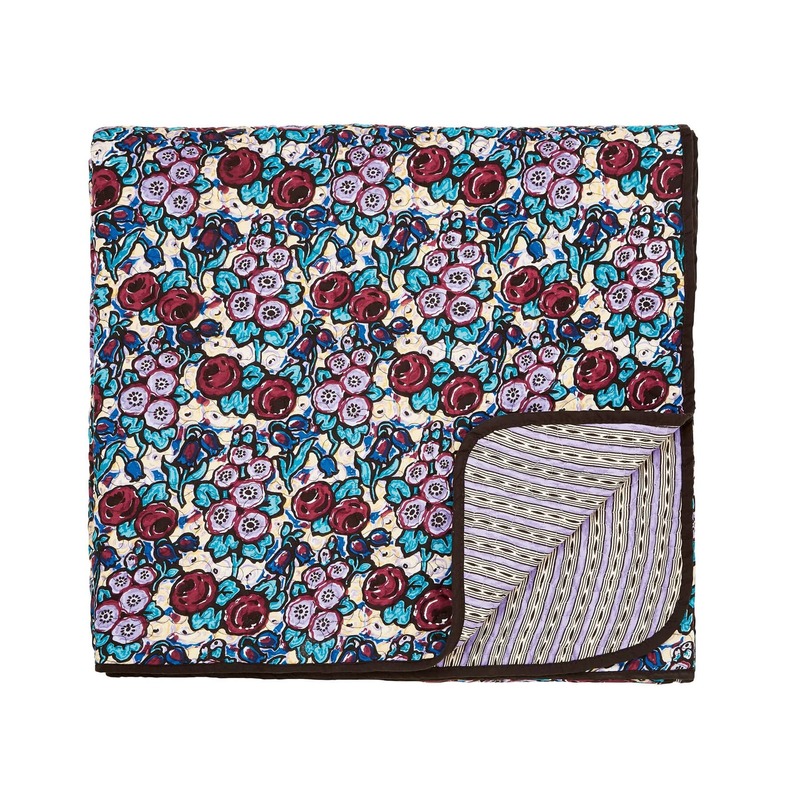 BUY V & A TWILIGHT GARDEN NOW! 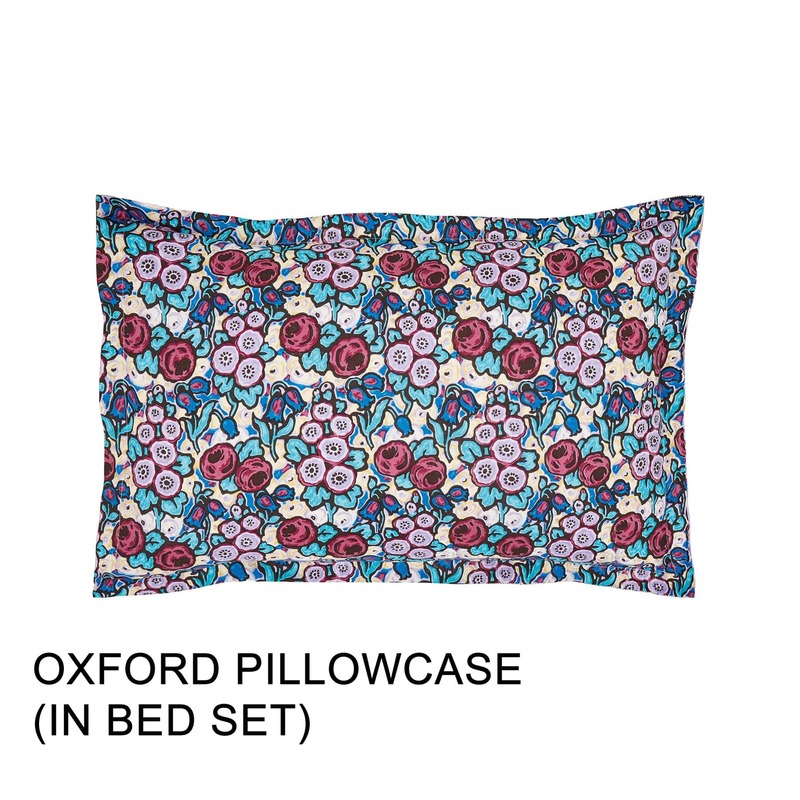 This stylish floral bedding set, Twilight Garden from V&A, is based on a design for a printed textile from the early 1920's. Ahead of their time, designs like this one signal the beginning of a shift towards the abstract florals that would become popular in the latter half of the 20th century. 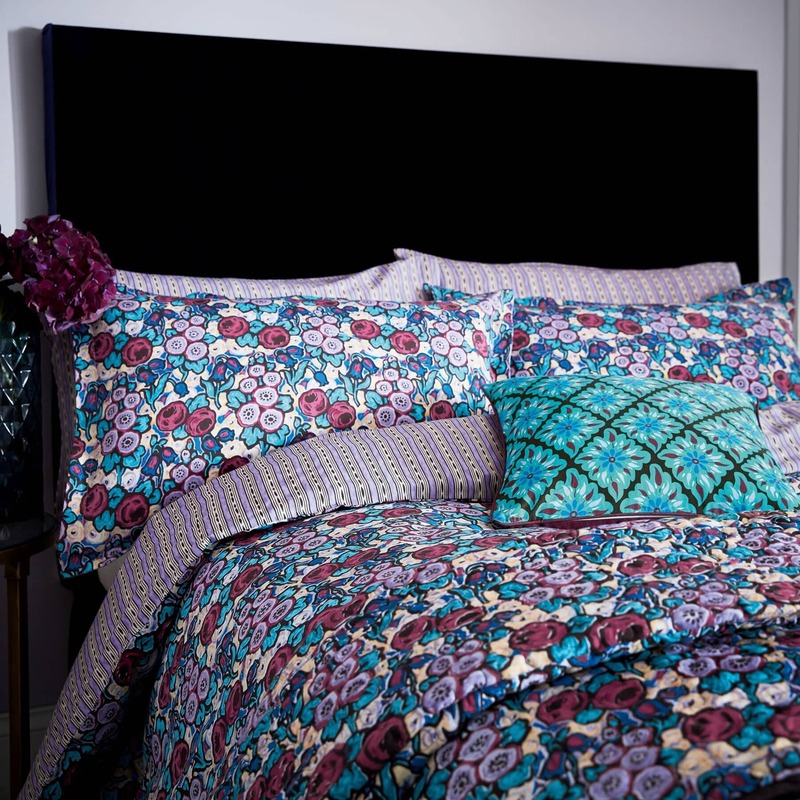 Available in four sizes of duvet cover sets, the main rose and bluebell print reverses to a simple stripe co-ordinate. 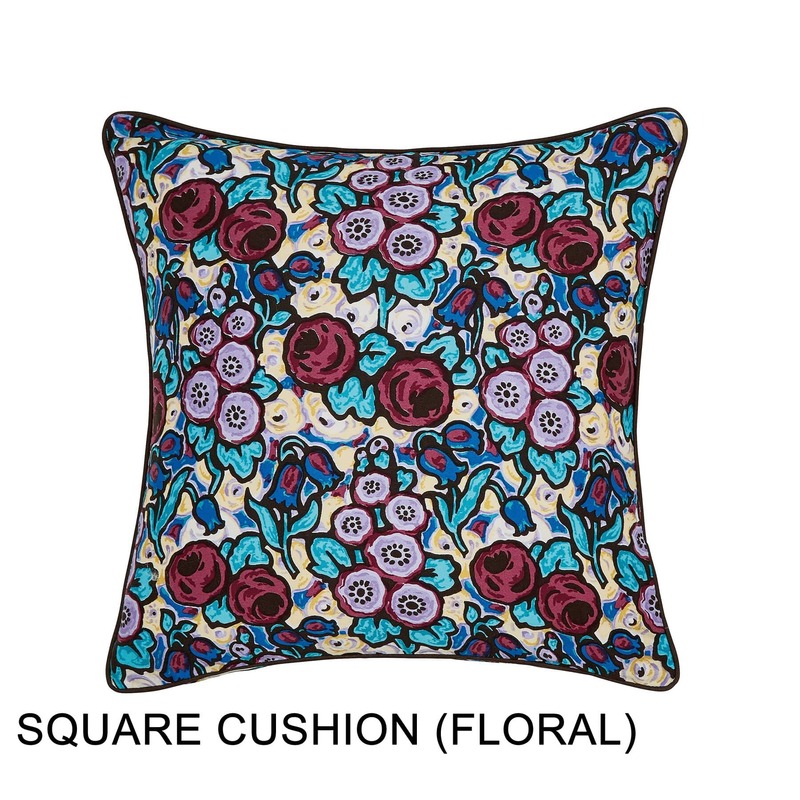 A quilted throw and linen blend cushion featuring a digitally printed geometric tile pattern complete the collection. Duvets, Pillowcases, Throw: 100% Cotton. 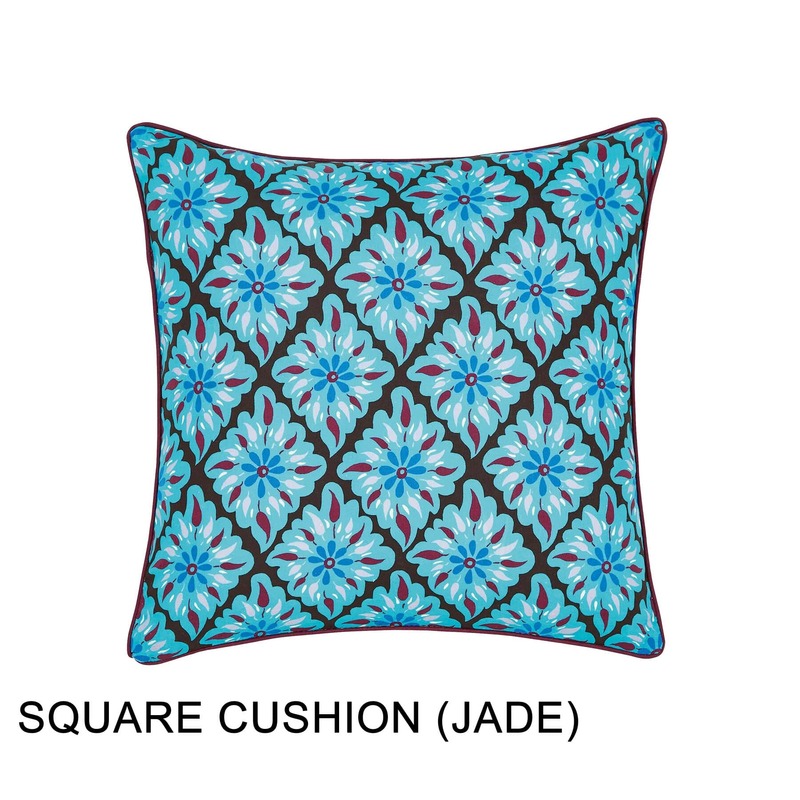 Curtains & Cushion: 100% Cotton Sateen. Curtains are lined, pencil pleat, have a standard curtain taped header. 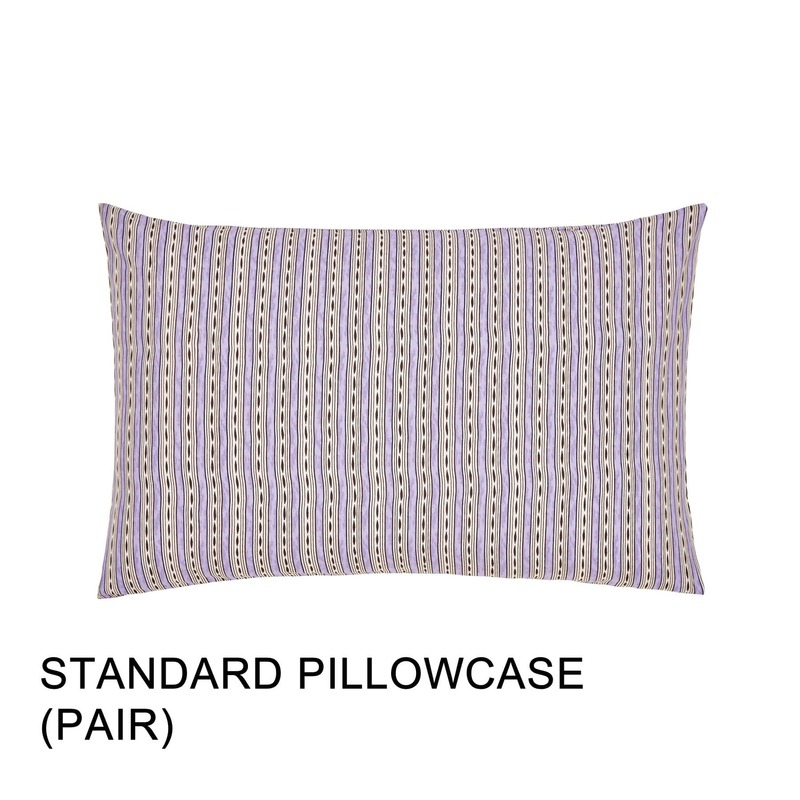 Bedding Cushions, Throw & Pillowcases: Machine Washable. Curtains: Dry Clean Only. Be the first to review V & A Twilight Garden click here to write your review.